Imagine a place where nature is wild and uncontaminated. A region flanked by mountains on one side and the ocean on the other. It is lush and green in the spring, summer and fall, and covered in glistening snow in the winter. It is filled with picturesque medieval towns, castles, modern resorts and fantastic food and wine! It must be Italy. It must be Abruzzo! Join me as this month’s Italian Food Wine Travel (#ItalianFWT) group is heading to Abruzzo. The region of Abruzzo is located in central Italy between the Apennines Mountains and the Adriatic Sea. It hold the title “Greenest Region in Europe” due to 1/3 of its territory, the largest in Europe, comprised of natural parks and nature preserves. Furthermore, Abruzzo is also home to Calderone, Europe’s southernmost glacier. Due to construction of superhighways getting to Abruzzo from Rome is easier than ever. Abruzzo has a lot to offer tourists; fantastic skiing in the winter, hiking, biking, boating, touring a host of medieval towns, castles and cathedrals, relaxing on the beautiful natural beaches and spas, and of course delicious eating and drinking the local foods and wines! Visit Abruzzo, Made in Nature, Made in Italy to plan your Abruzzo vacation. Montepulciano: This is the main red grape variety of the Abruzzo region. This grape is known and appreciated for its soft flavors, bold color and gentle tannins. It characteristically offers notes of dark fruits, spice notes and earthy notes of tobacco or oregano. It is often enjoyed young but does have the capacity to age well if properly cellared. 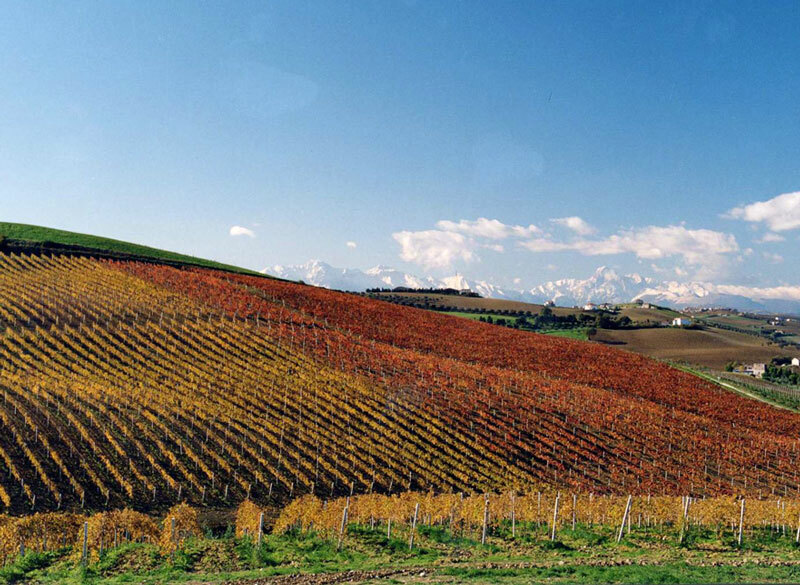 In Abruzzo Montepulciano is produced in the low hills and flatlands near the Adriatic coast. It is here Montepulciano has its DOC status. 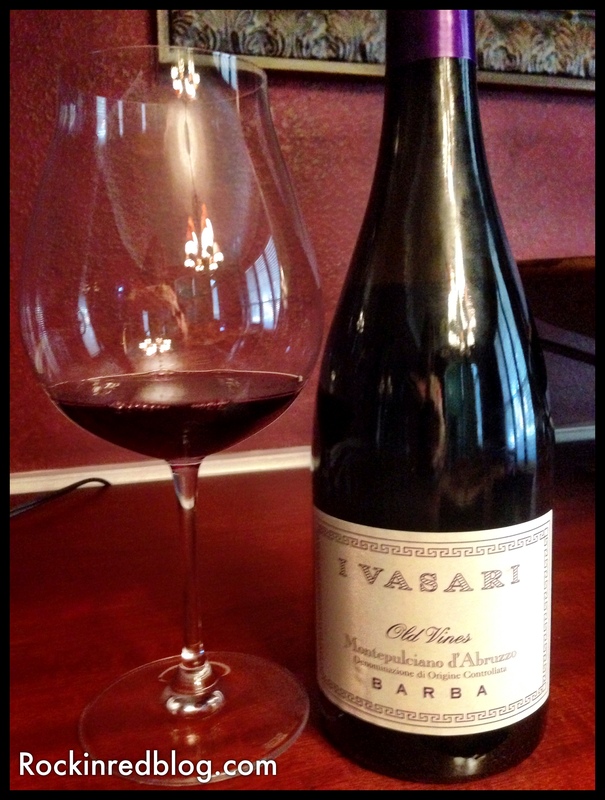 Barba I Vasari Old Vines Montepulciano D’Abruzzo DOC 2008: This wine was crafted of 100% Montepulciano and poured an intense deep violet into the glass. Dark fruit notes of black cherry, raspberry, cranberry, pomegranate and black plums are met with notes of wildflowers, dusty earth, dried leather, licorice, spices and green olives. The tart fruit lead the way but the earthy notes were soon to follow. It was rich and round on the palate with well-balanced acidity and tannins that were most pronounced on the sides of the palate. A deceptively medium body wine with a mouthwatering, lingering finish. Temperature-controlled fermentation in open French Oak barrels with post-fermentation maceration up to 28-30 days after the beginning of fermentation. Malolactic fermentation and ageing on lees for at least 60 days. Elevation in oak barrels for 16 months. Very enjoyable wine that delivers well beyond its SRP of $19.99 or less. 90 pts WS; 90 pts RP; 92 pts Intl Wine Cellar. I wanted to pair the Barba Old Vine Montepulciano d’Abruzzo with traditional Abruzzo cuisine so once again I went to Jovina Cooks Italian for inspiration. 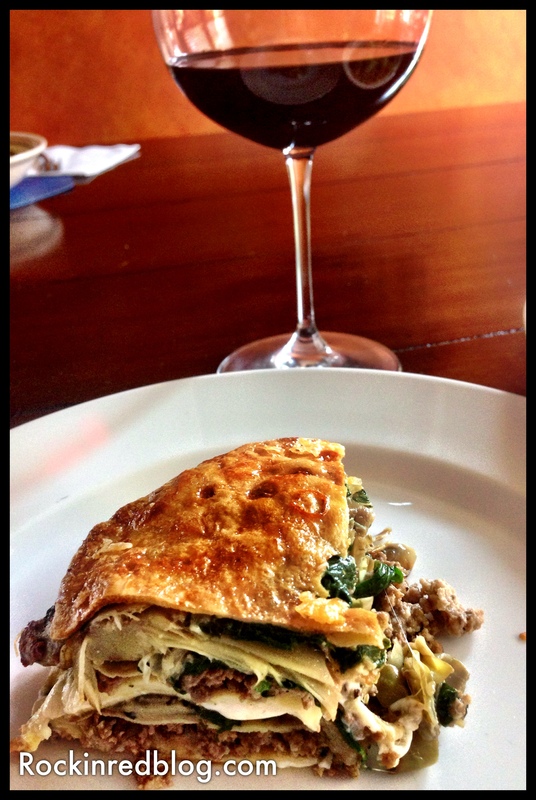 I decided upon two recipes on Jovina’s site for our Abruzzo dinner pairing. 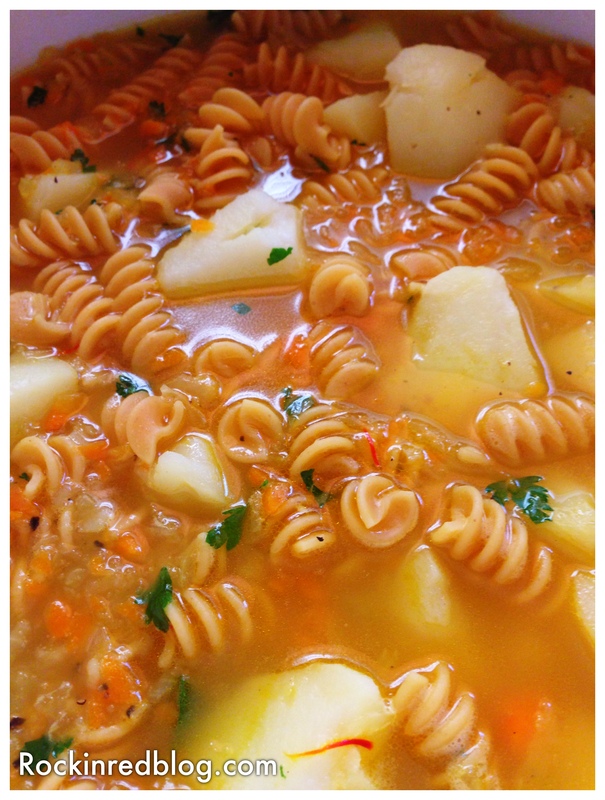 To be clear I am not sure that both of these recipes are Jovina’s because I came across the soup recipe on the Barilla web site as well (with the same picture), so she may have “borrowed” them without giving due credit; nevertheless, I cooked both from the recipes she published. Our first course (primi) consisted of Potato Soup with Saffron. It was light and easy, hearty due to the pasta and delicious. I could not find the pasta in the recipe so I used cavatappi. The warmth of the soup paired beautifully with the wine. For our second course (secondo) I made the traditional Timballo di Crespelle. This recipe was the Abruzzo version of a famous Italian dish that is made in various forms throughout Italy. The Sicilian version was the star of the movie Big Night. Fortunately, the Abruzzo version appeared easier than the Sicilian version. In fact, though it was time consuming it was not difficult at all. I encourage you to give it a try; however, if you use Jovina’s recipe, which was delicious, double or triple the ingredients and make bigger crepes to feed a family or guests. Again this dish paired beautifully with the wine. Warm, creamy, well textured with layers of flavor that blended beautifully with the layers and complexity of the wine. The Barba family has a history in Italy dating back to fifteenth century Naples. 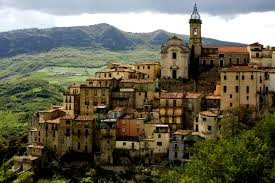 Over time the family moved to Abruzzo, with records of land holdings by Carlo Barba in the eighteenth century. In the 1950’s, Luigi Barba inaugurated the family into the wine industry with state of the art facilities and infrastructure. The farm is now managed by Giovanni Barba, who along with his two brothers Domenico and Vincenzo, are supported by numerous employees. 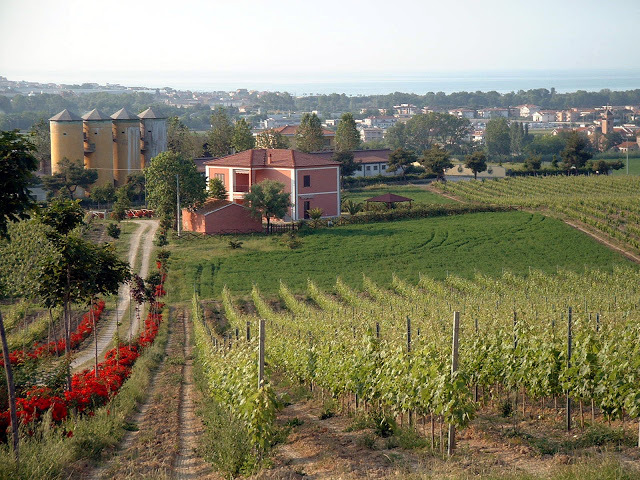 From the Barba web site: The heart of the farm and winery Barba are the vineyards, spread over 68 acres included in one of the best areas of the territory: Colle Morino, Casal Thaulero and Vignafranca, all belonging to the area of the D.O.C. Montepulciano and Trebbiano d’Abruzzo e della D.O.C.G. Colline Teramane. Here our wines are created, through careful observation of the best plants, selected throughout forty years of winery running. 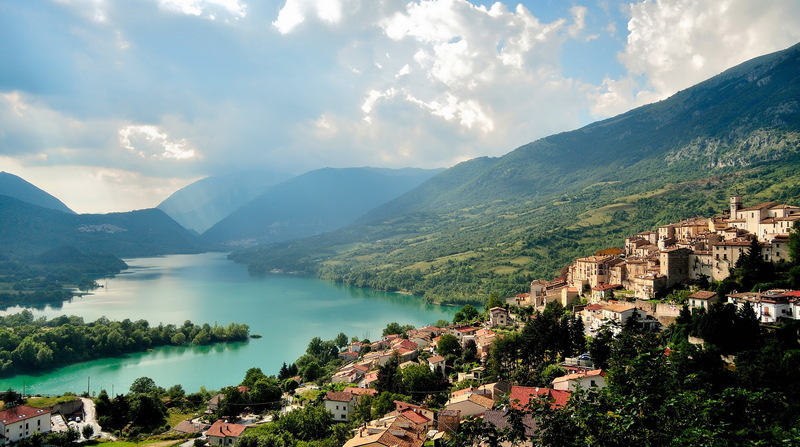 Rightly called “Green Region of Europe”, Abruzzo is known for its coasts, lakes and mountains. The more careful travelers, however, will not fail to notice the beauty of its hills, situated between the foothills and the coastal area, declining on the sides of more or less extensive river valleys. It is precisely on the hill ridges of the Vomano River, between the towns of Cellino Attanasio, Atri, Pineto and Roseto, where the company Barba is situated. It is an area with a profound agricultural vocation, in which predominate, favoured by a mild and bright climate. Here, the summer offers long sunny days alternated with cool nights, winter is mitigated by the influence of the nearby Adriatic Sea, with an average annual temperature of 12-16 ° C, and a good rainfall and ventilation. Under the guidance of the Barba brothers the winery is crafting a high quality portfolio of wines. I encourage you to seek them out at your favorite local wine retailer or online. I purchased my bottle from Total Wine. Please be part of the Abruzzo conversation at 10am CST on Twitter using #ItalianFWT. Join us again on Saturday, October 3 when Italian Food Wine Travel takes us to Umbria! My Song Selection: I have chosen a song pairing that has soul, with a little earthy funk and spice, and it goes down smooth leaving you wanting more…just like the Barba I Vasari Old Vines Montepulciano D’Abruzzo DOC 2008. 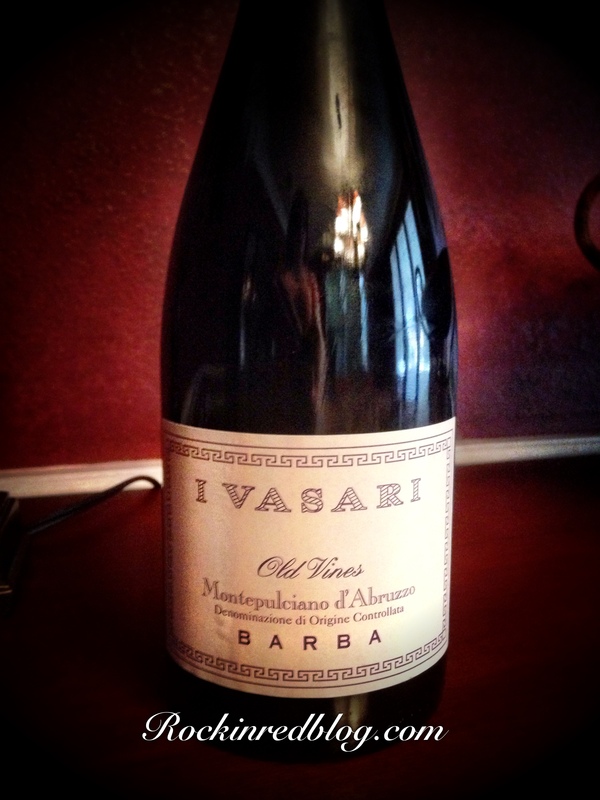 Get your own bottle of Barba I Vasari Old Vines Montepulciano D’Abruzzo DOC 2008 and let me know what song you pair with it. Cheers! Love the intro description of the region! Sounds like a great wine and the food you served with it looks like something I would really enjoy! The Timballo di Crespelle looks delicious. I’ll have to seek out that recipe and try it sometime. That meal looks delicious…and the wine. Well, I can’t wait to find a bottle! Wonderful piece Michelle! 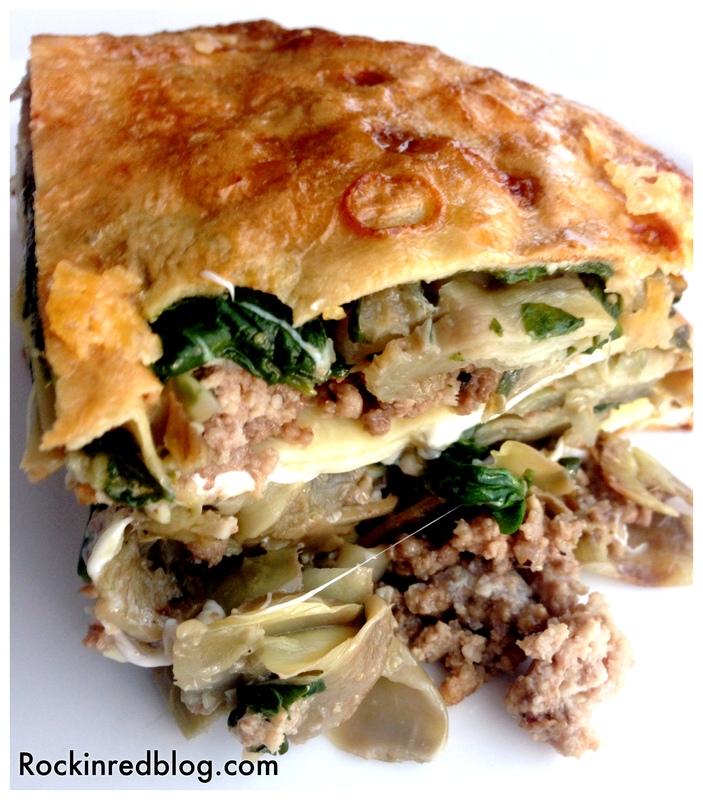 The Timballo di Crespelle looks delicious! Great post, Michelle. I’m a sucker for a good, oaked Montepulciano d’Abruzzo and the food from Abruzzo is just outstanding. Every year at VinItaly I go to the Abruzzo Street Food stand and it’s always packed with lots of people because their food is just so delicious. Oh Julian that sounds so much fun! Thank you! You always make me feel like I am “right there.” Well done MIchelle, and great job on the food, once again! Oh thank you Kathryn! You are so kind!